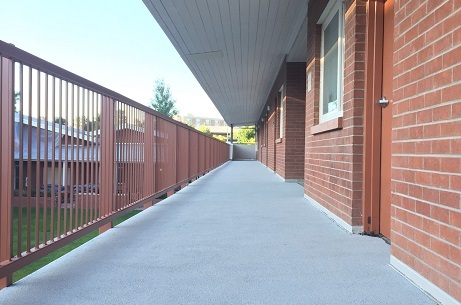 Rubberway Multi-Purpose is a customizable poured rubber surfacing system that can be adjusted to meet specific project needs. From rubber rooftop surfacing, rubber decking and pool deck coatings to safety surfaces in gyms, crossfit centers, and climbing wall floors, Rubberway Multi-Purpose is a safe, long lasting solution. 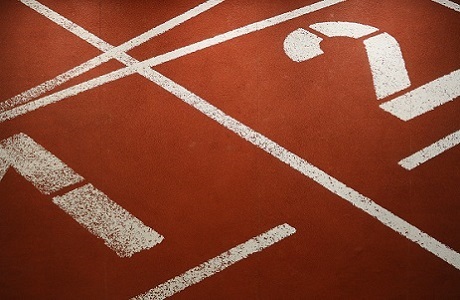 When laid over concrete or asphalt the resulting firm, yet resilient surface is ideal for recreational facilities like basketball or tennis courts where it provides a cushioned surface with good traction and suitable ball bounce. Rubberway Multi-Purpose has even been installed on walls! 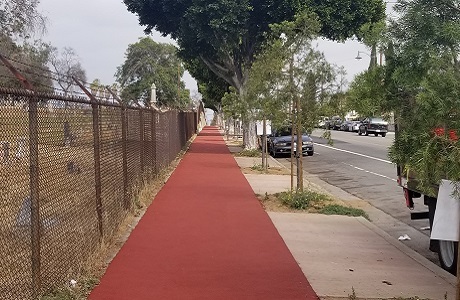 Rubberway Multi-Purpose can be used anywhere a resilient, attractive, low maintenance, comfortable, environmentally friendly surface is needed. 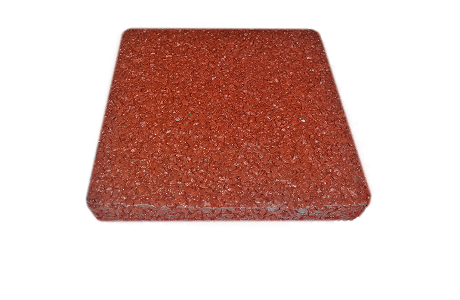 This poured rubber flooring is completely customizable in terms of application, color, thickness, porosity, and design. We will work with you to make your project a reality. Contact us today for help with your unique project. Cool roofs are the way of the future. 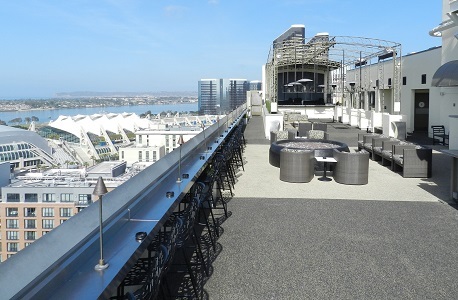 Rubberway's Multi-Purpose rubber rooftop flooring system in light colors can be used to combat the heat island effect by reflecting more of the sun's incoming rays. This poured rubber surface also has insulating properties which can lead to reduced building heating and cooling costs. Depending on conditions, over time these cost savings can more than pay for the cost of the installation itself. 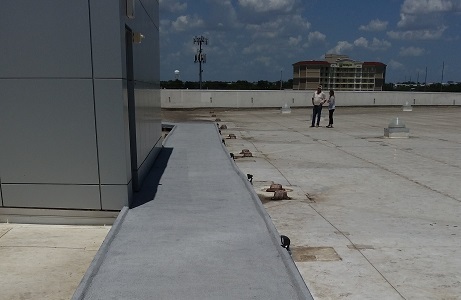 Additional benefits of this rubber rooftop surfacing include sound-dampening, providing a more comfortable environment for building occupants, and a high coefficient of friction for a safe, non-slip surface. 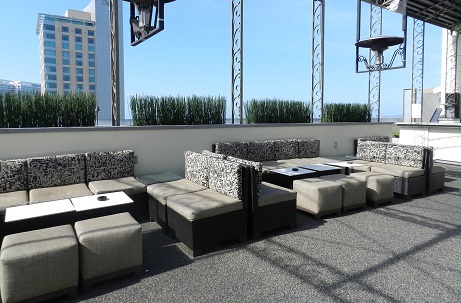 Rubberway poured rubber surfacing systems, including cool roof installations in light colors, are eligible for a variety of LEED credits and can transform a once unused space into a beautiful recreational area. Rubberway Multi-Purpose installations on rooftops can be porous, allowing rainwater to seep through into the existing drainage system which promotes quick drying and reduces puddling, or it can be made impervious and have its own drainage system. Both methods provide an extra layer of insulation and protection for the roof. 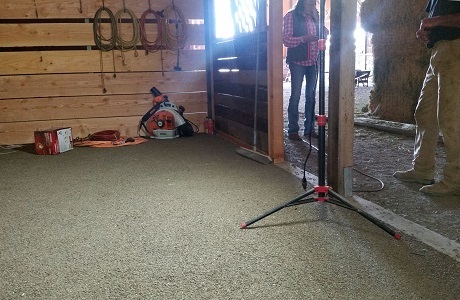 The Rubberway Multi-Purpose system generally consists of ½" of recycled crumb rubber mixed with binder, then poured and troweled over a sub-base. The sub-base can be asphalt or concrete. 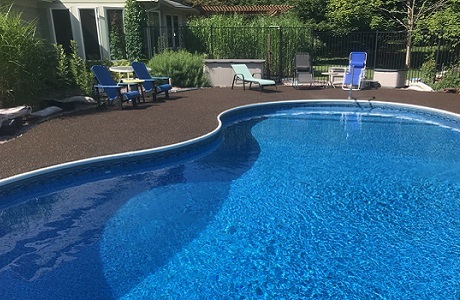 The recycled crumb rubber can also be replaced by virgin EPDM which is available in a wide variety of colors and can accommodate designs, geometric patterns, images, and logos. 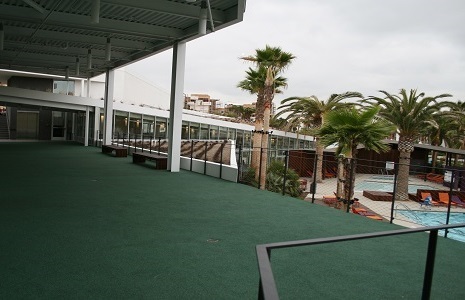 We can work with you to create a custom rubber flooring or surfacing system for your needs. Contact us to get started.